Finally, geraniums that stand up to the Texas summer heat! It’s pretty well-known among Texas gardeners that geraniums aren’t exactly Texas summer-tough. While they usually perform well in spring, we can expect the geraniums’ leaves to turn yellow come June. It is hard, though, to resist the lure of geraniums, especially when their colorful images fill the pages of gardening magazines and plant catalogs. Every once in a while, fortunately, a particular variety breaks with tradition. In plant trials at the Dallas Arboretum, a geranium series that stands up to our tough summers has been developed called the ‘Maverick’ geranium. Surprisingly, the ‘Maverick’ not only survives an entire summer, but they also look good! Compared to many other seed-grown geranium varieties, ‘Maverick’ geraniums have an open plant habit that allows sunlight to reach their lowest leaves. The result is a plant that can produce more flower stems and has less yellowing of their leaves. Overall, the series is very uniform, meaning there is not much variation in height, spread, and flower production from plant to plant. This characteristic makes ‘Maverick’ geraniums useful in landscapes and containers. 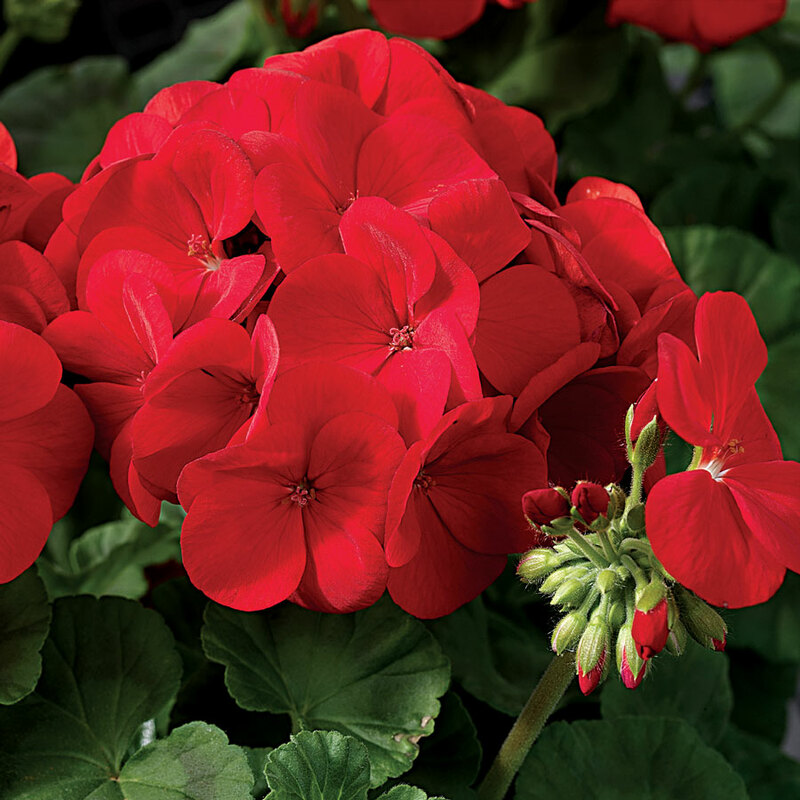 Most importantly, ‘Maverick’ geraniums have exceptional heat tolerance in comparison with other geranium varieties. To see attractive blooms on a geranium in August is a rare sight indeed. You can plant ‘Maverick’ geraniums in the spring and expect to enjoy them through the autumn season.